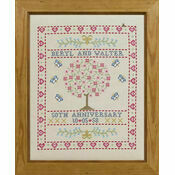 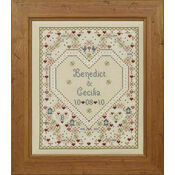 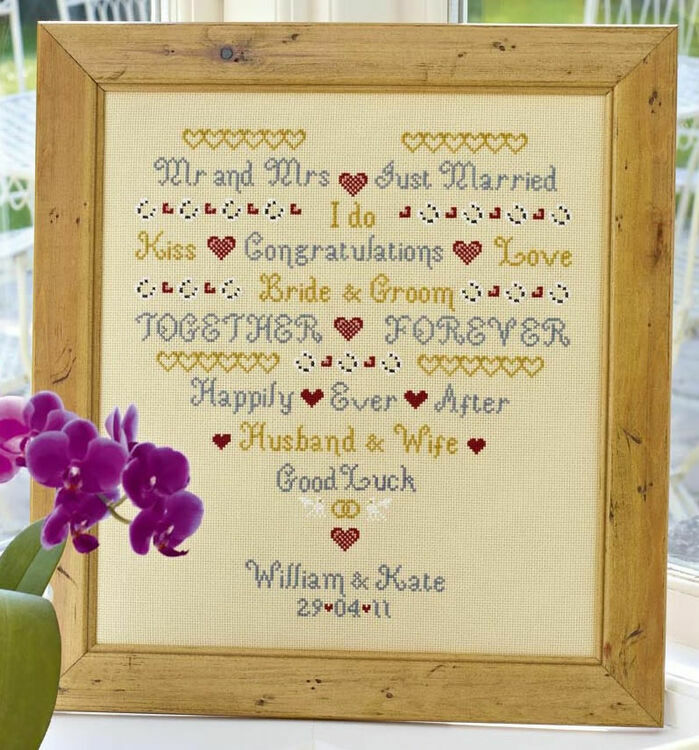 This I Do Wedding sampler cross stitch kit from the Historical Sampler Company is an excellent present to give to the happy couple. 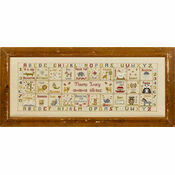 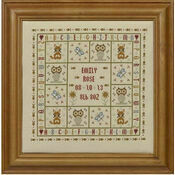 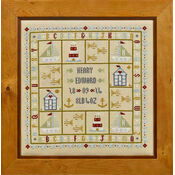 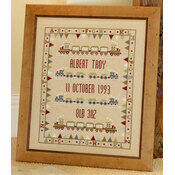 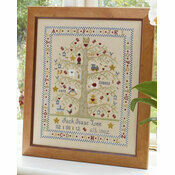 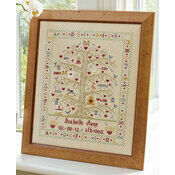 This kit is perfect for the more advanced cross stitcher, and the small sections make it a joy to complete! 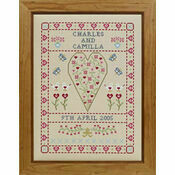 Various words associated with a Wedding are dotted around the piece in the shape of a heart. 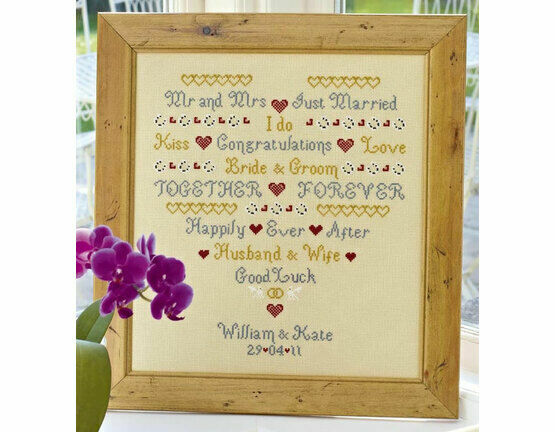 All which can be personalised at the bottom with the names, and date of the wedding.